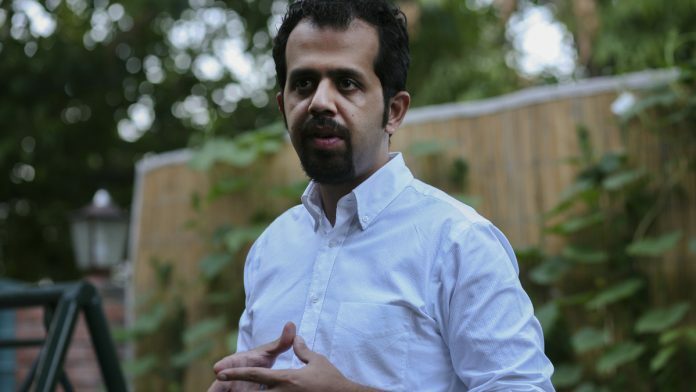 I want Pakistan to become better and the only way that can happen is by highlighting the wrongs, writes Taha Siddiqui. An opinion piece I wrote last week marking one-year of my self-imposed exile in Paris after an attack on my life has opened floodgates of hatred – from Pakistan and its top-rung leaders. 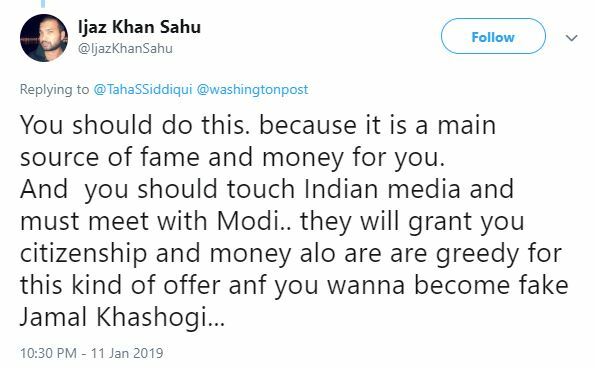 But my biggest disappointment is the lack of any support from the local press in Pakistan, with some prominent members even taking to social media to attack me, question my motives for writing the piece and calling it a publicity stunt. A few even claimed that there is no threat to press freedom in Pakistan and I am merely exaggerating it. 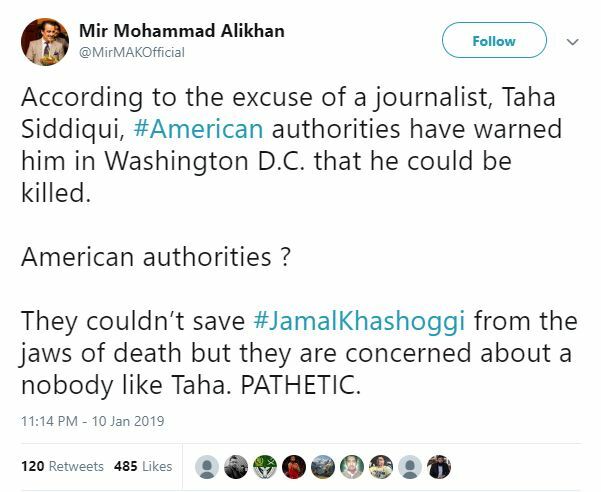 The reason why I chose to go public with the information I recently received from the US intel about a possible assassination plot against me in Pakistan, in my piece for The Washington Post, is because I value freedom of press and believe in exposing those who threaten it. When Pakistan’s federal information minister Fawad Chaudhry tweeted against me and called my piece “malafide use of pen”, the local media remained suspiciously silent. This is the same press that considers anything this minister says even as a passing remark as ‘breaking news’. The double-standard was hard to miss. This, at a time when Pakistan’s oldest and reputed newspaper Dawn is facing supply disruptions allegedly at the behest of the Pakistan Army, and one of its reporters is facing treason charges. A leading media channel like Geo News had to reportedly make a deal with the military to come back on-air after disappearing from cable networks. And a monetary crunch, allegedly engineered by the establishment, has led to several journalists losing jobs. 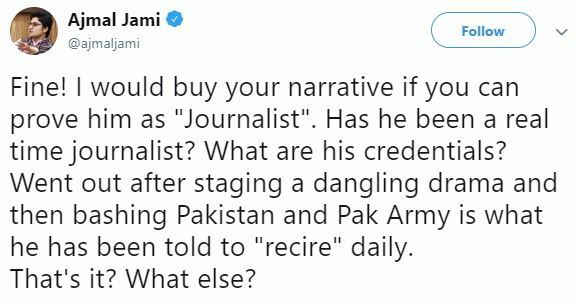 But it appears that Pakistani journalists in their pursuit to be in the good books of the military seem to go an extra mile to not just censor themselves but also defend their oppressors, as I witnessed in the aftermath of my piece. 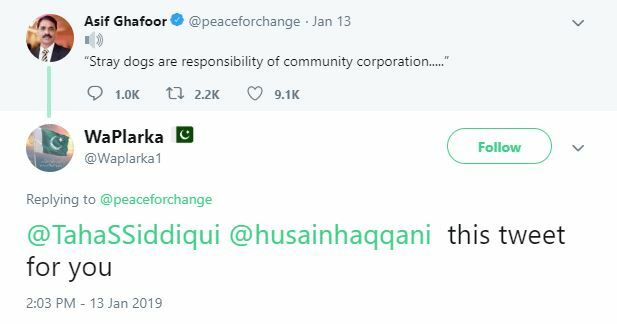 But the response that left me unnerved came from Pakistan Army’s spokesperson Major General Asif Ghafoor in the form of a tweet about “stray dogs are (being) the responsibility of community corporation…”. In Pakistan, stray dogs are mercilessly poisoned or shot dead by the municipal corporations. He is the brain, I believe, behind the menacing trolls who target me. Since Ghafoor’s tweet, many of these trolls have been tagging me in his post, pointing out that the general is referring to me. Many of my well-wishers in Pakistan also think the same. I cannot be certain if it is indeed so but one of the first responses to his tweet from a verified handle is deeply troubling. The user talks about setting up a Pakistani version of Bozkurtlar – a Turkish death squad that has been accused of involvement in assassinations in and outside Turkey. Ironically, Major General Ghafoor had earlier invited me back in Pakistan through multiple tweets. In the light of the fresh information about a possible assassination plot against me, one doesn’t know if his invitation was a trap. Despite the disappointments, hatred and risks, why do I continue to speak up? Because, I want Pakistan to become better and the only way that can happen is by highlighting the wrongs. However, the backlash for the opinion piece that I wrote last week made me wonder if there was anything wrong in what I said. But then I realised I am not the only one facing such hostility. Many Pakistanis, who are celebrated globally, are demonised back home. I have seen people question the motives of peace activist Malala Yousafzai, and disown scientific minds like Abdus Salam, the country’s first Nobel laureate. Now, there are efforts to discredit renowned lawyer Asma Jahangir, recipient of the 2018 UN Human Rights Prize. At the same time, likes of Mumtaz Qadri, the assassin of Punjab province’s governor Salman Taseer, Osama bin Laden, the 9/11-mastermind, and Hafiz Saeed, the man behind the Mumbai terror attacks, are celebrated as heroes. When I see such problematic narratives and belief systems, I realise what the Pakistani society needs – introspection and a will to challenge the years of indoctrination and hate taught from childhood. Pakistan is hurtling towards an implosion if policymakers don’t take immediate steps to address this situation. We have a society that is sick, and if we don’t treat it soon, Pakistan will become a place where no one will be safe.